For the first time in a long time, the color of Beijing’s sky was a perfect azure blue. 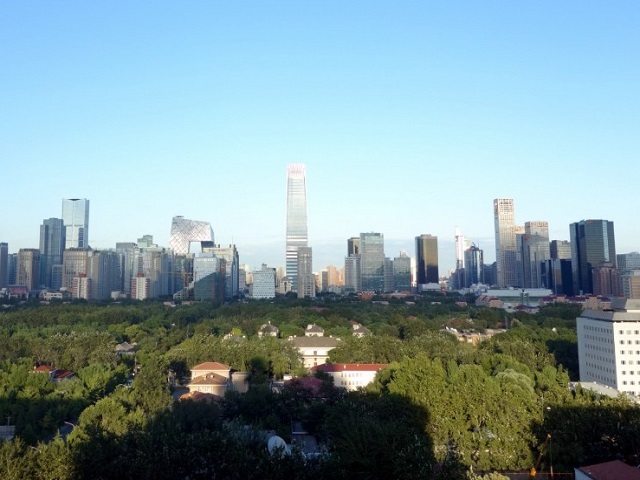 From August 20 to September 3, the city’s clear sky offered a breath of fresh air for residents, and gave many a chance to see what Beijing could look like if smog were no longer a problem. The normal state of the city’s skies are grey and ashen; an excess of aerosols in the atmosphere, dust, soot and CO2 emitted by vehicles all contributing to Beijing’s perpetual smog. However, the city’s severe air pollution can be reversed. Beijing has demonstrated this—at least for a day. Last year, pollution in Beijing reached extreme levels. At its worst, air pollution in Beijing was 20 times over the limit recommended by the World Health Organization (WHO). On any given day, it is common to see residents and tourists using apps on their mobile devices to check local air quality in real time, assessing threat levels to take what precautions they can. Currently 21 million residents in China’s capital suffer from poor air quality, increasing their risk of cancer and heightening the risk of respiratory complications (such as asthma). The health of children is particularly threatened, as exposure to air pollutants at early ages can cause permanent damage to lungs and may increase the risk of anxiety and attention disorders. Some schools in Beijing have even created large, air-filtered domes for physical activities, rather than expose children to the outside air. Furthermore, evidence shows that Beijing’s air pollution is deterring foreigners from coming to live and work in the city. For example, in 2014, when businesses were asked: “Do you or your organization have any difficulties in recruiting or keeping executives to work in China because of air pollution?” 47 percent said yes. Only 19 percent of businesses answered positively when the same survey was conducted in 2008. 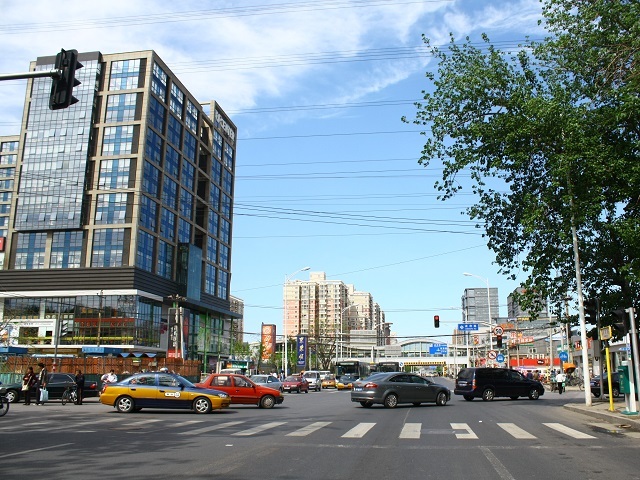 A clear blue sky in Beijing almost always means that something big is happening in the city. Recent efforts to clear smog from the city included the 2008 Olympic Games, critical political meetings and other local celebrations. The most recent blue sky happened on September 3, celebrating the 70th anniversary of the triumph of the Chinese People’s War of Resistance against Japanese Aggression in World War II. To clear the skies, Chinese authorities temporarily adopted robust sustainability policies. During the two weeks leading up to the anniversary, half of Beijing’s registered cars were banned from the streets and hundreds of factories were temporarily closed. On the day of the event, 40,000 locations under construction in the Beijing area were ordered to close. The change in the landscape was clear: the smog slowly left the city. On the day of the event, particulate matter levels fell 73.2 percent from normal and the city’s air quality index dropped to a healthy 17 out of 500. These benefits, however, were short-lived. The next day, the air quality index reached 160 out of 500, the level at which people can experience adverse health effects, according to the US Environmental Protection Agency (EPA). “It was like someone had turned off a switch,” says the LA Times, noting the abrupt change from blue skies back to ashen, soot-filled air.